GEWI is in the middle of a busy ITS conference season, just returning from ITS World Congress in Copenhagen and will exhibit at ITS5C in Jacksonville and present on Smart Work Zones at the National/Rural ITS conference in Arizona. Read those details in this issue along with details on how the TIC product feature Traffic Flow is used to verify incidents, a recap of GEWI's ITS America Webinar, and GEWI's 2018 Soap Box Derby. In this issue you'll also meet Developer Holger Kuske who recently marked his 25th anniversary with GEWI. Portability is one of the features of the TIC Software that is appreciated by GEWI's global customers. This means the same system can be deployed anywhere in the world where a digital map is available. Recently, one of GEWI's long time major customers added 10 new countries to their operations. 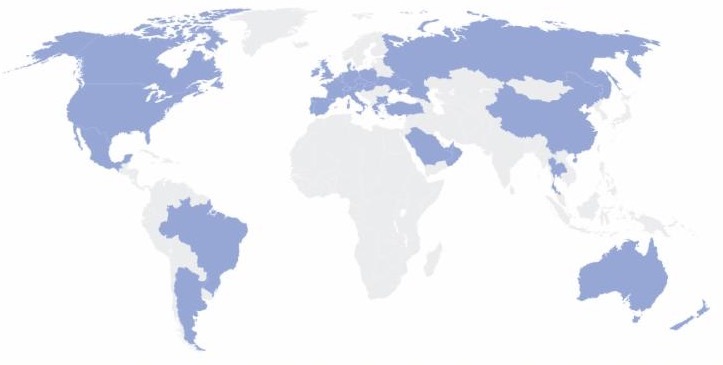 This brings to 31 the number of countries for which one of the many TIC Solutions is used for traffic related projects. (dark blue areas in image at left show where TIC is currently in productive use). For more information or to schedule a demonstration visit www.gewi.com to locate a contact in your region. 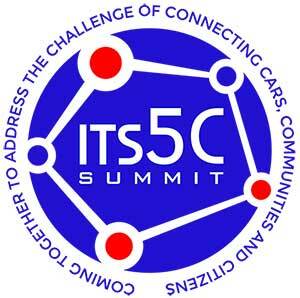 The theme of ITS5C is "Coming together to address the Challenge of Connecting Cars, Communities and Citizens". GEWI's TIC Product has been solving the global problem of connecting Systems, Vehicles, and Travelers since 1997. TIC will be exhibited at the conference in the GEWI booth #617 at the conference which will be held in Jacksonville, Florida October 7-10th, 2018. To schedule a time to meet and learn about GEWI solutions, contact jim.oneill@gewi.com. 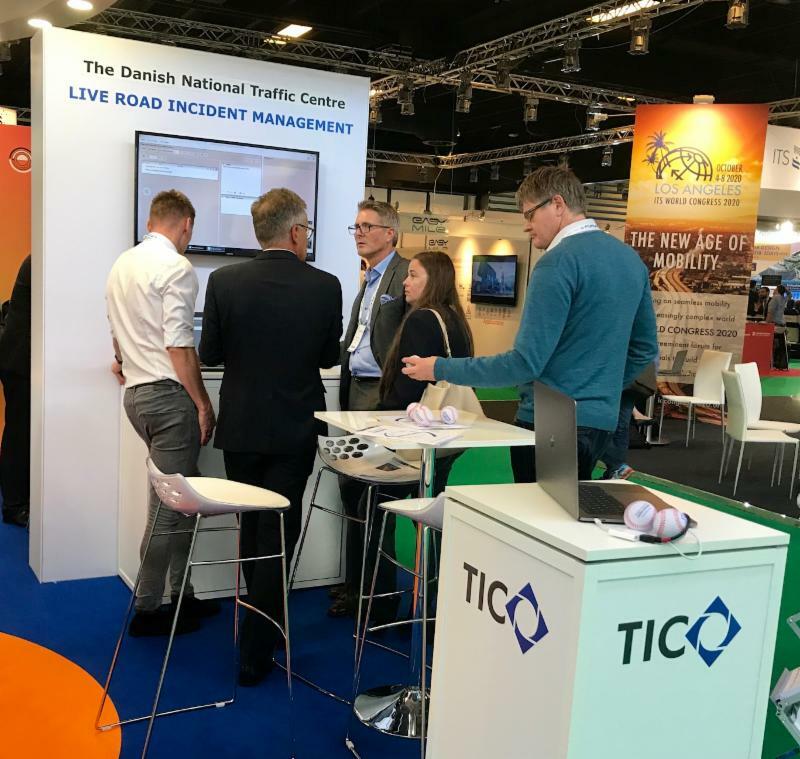 Over 10,000 visitors from 96 countries attended ITS World Congress in Copenhagen, and hundreds made their way to GEWI's exhibit to learn about the Road Incident Management Solution, which is used to manage the major roadways throughout Denmark. The Road Incident Management Solution was also featured in this edition of ITS International. Smart Work Zones were a popular topic of interest from many of the delegates from over 45 countries that visited the GEWI stand. Many of the visitors had attended GEWI founder Hagen Geppert's presentation in the session entitled "Making Work Zones Smarter". With so many visitors, we are now working through scheduling follow up demonstrations and meetings. If you were unable to attend ITS World Congress but would still like a demonstration tailored to your project requirements, visit www.gewi.com to locate a contact in your region. Creating accurate incident and Work Zone information is a challenge faced by operators in Traffic Centers worldwide. Whether the traffic is created by a public or private organization, operators need to be able to quickly gather all relevant information to create information which accurately represents what is happening on the roadway. GEWI’s TIC Software uses traffic flow related to the location of the event, to enable operators to confirm roadway conditions, and to alert them to changing roadway conditions. Seamless integration of traffic flow data into TIC makes it simple for operators to check the accuracy of the information. On September 6th, GEWI moderated an ITS America webinar entitled "Reduce Traffic Impact and Increase Work Zone Safety using Smart Technologies". 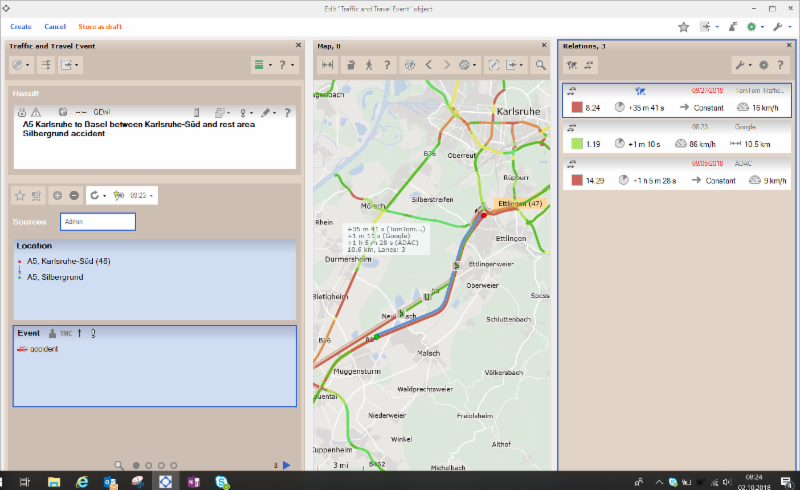 The webinar featured a real-world project deployed in Germany earlier in 2018 which delivered live real-time moving Work Zone data to broadcasters and navigation devices, presented by Project Manager Ronny Dittrich. Ross Sheckler from iCone Products also detailed how these Smart Work Zone data types and more are now available in the USA, while Danny Woolard of GEWI UK took a look at the impact of Work Zones and Automated Driving. To view an archived recording of the webinar, click here, and scroll to Sept. 6th on the ITS America Webinar page. GEWI management knows how hard each employee works to meet demanding schedules and the many new features being added to the TIC Product. Realizing it is important to play equally as hard as you work, GEWI hosts events to create an opportunity for team bonding away from the offices. 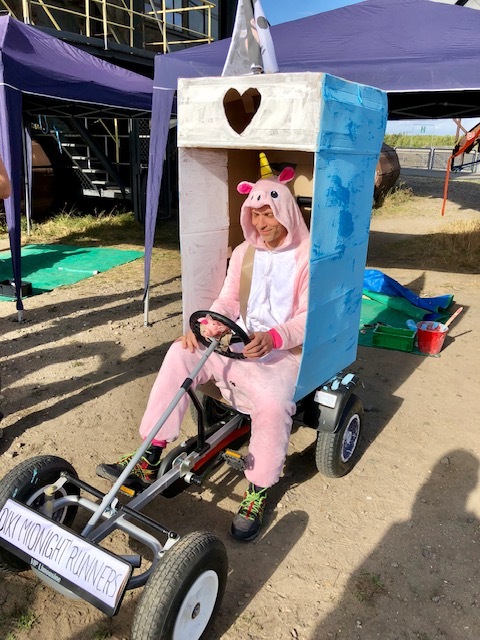 So, in late September, it was time for another famous GEWI summer event where GEWI product development, customer projects, and business teams were arranged into three racing teams competing to win the Soap Box Derby. The event was held at the impressive Ferropolis venue in Germany. The winning score was based on both vehicle design and race time and in the end, Team Dixi's Midnight Runners were victorious. You can see by the driver's costume, this was a very serious event. In the end, all came out a winner in this relaxing and enjoyable event, and everyone is looking forward to what will be dreamed up for next year! Smart Work Zones continue to be a hot topic at conferences worldwide and GEWI's Eli Sherer will be attending the National Rural ITS Conference to be held 21-24 October in Ft. McDowell, Arizona to present a paper on this very topic. Eli will be presenting in a session entitled "When Cars Talk to the Road: Connected Vehicles and Infrastructure Applications". Automated driving presents many challenges for vehicles traveling through Work Zones and this is one of the issues Eli will address in his paper which is entitled "The Case for Improving Work Zone Management and Communications in a Highly Automated Driving World." 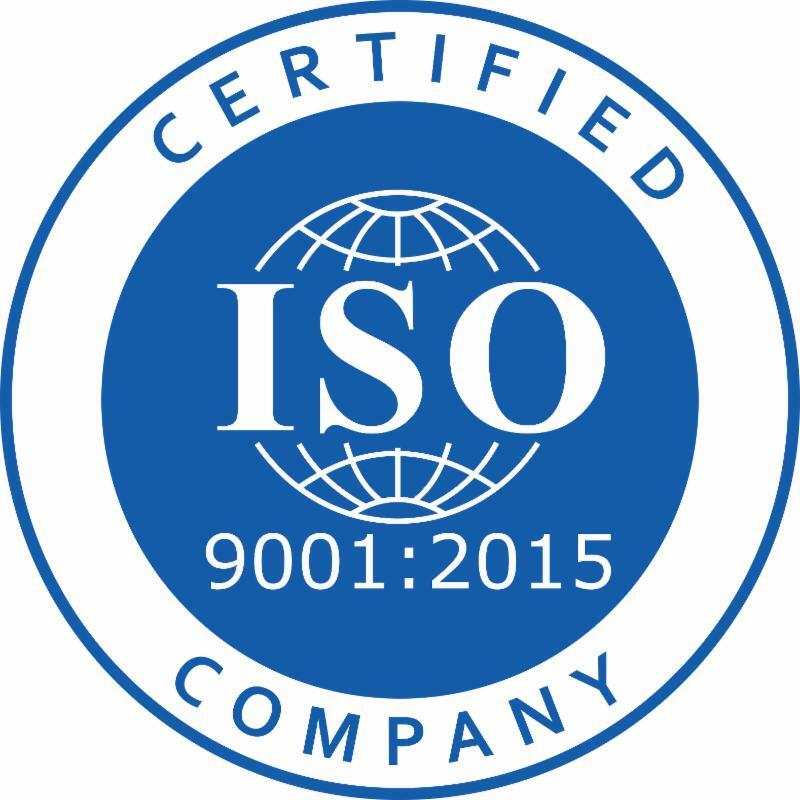 Since 1998, GEWI has maintained ISO Certification for quality management systems (QMS), and the certification was recently renewed. Requirements for a quality management system, including documented information, planning and determining process interactions. Management of resources, including human resources and an organization’s work environment. Product realization, including the steps from design to delivery. Measurement, analysis, and improvement of the QMS through activities like internal audits and corrective and preventive action. October 1, 2018 marked 25 years for GEWI employee #1, Holger Kuske. In his tenure with GEWI, his role has continually expanded and recently has been involved in many important projects for the German State Police and Work Zone Projects including the first successful real-time Smart Work Zone to Navigation in March, 2018. Holger is one of GEWI's experts in the structure and handling of TMC location tables and one of the world's leading experts in RDS-TMC encoding and decoding. Holger holds a degree in Electrical Engineering with a specialization in CPU technologies. Like all of GEWI's technical and support staff, Holger is fluent in both English and German. In 2001, Holger was instrumental in the development of the ERIC3000 system for the European Road Information Center used for exchanging data from over 20 countries. Many of the lessons learned from this project are evident in the TIC Product today.